The United States Information Agency (USIA), which existed from 1953 to 1999, was a United States agency devoted to public diplomacy and a parent agency of the Voice of America (VOA). Swearing-in ceremony for Edward R. Murrow as Director of the United States Information Agency. 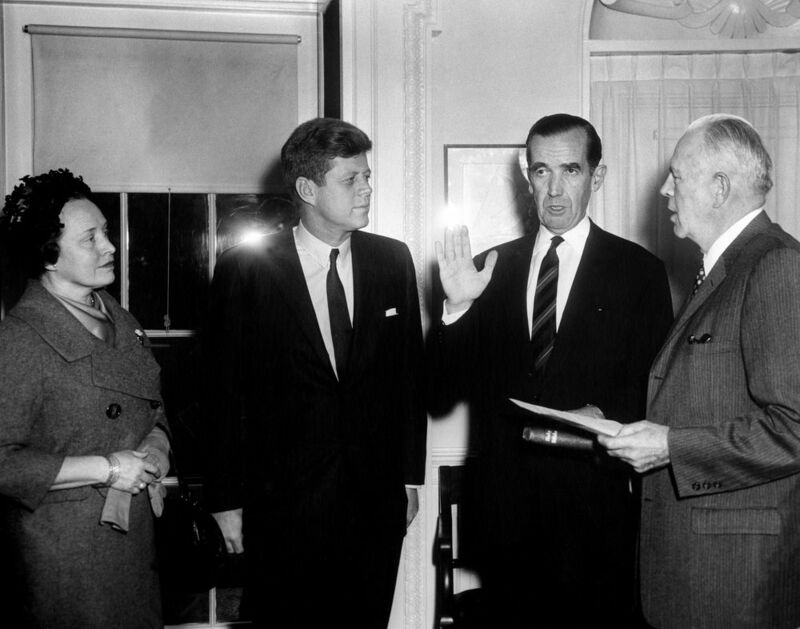 White House Administrative Officer, Frank K. Sanderson, administers oath to Edward R. Murrow; President John F. Kennedy and Janet Brewster Murrow stand at left. Oval Office, White House, Washington, D.C. March 21, 1961.